According to the U.S. Department of Transportation, approximately 500,000 truck accidents occur every year nationwide. Because of the sheer size and force of a truck, it can be deadly in a collision. Protecting your legal rights after a truck accident and ensuring that you will have what you need to seek compensation later on is key to moving forward after a crash. In some cases, individuals are fully conscious after the collision. If you are aware after the crash, call 911 or visit the emergency room immediately. Getting prompt medical attention to address your injuries, or the injuries of your passengers, is a crucial component of the evidence you will need to file a truck accident claim later on. Even if you feel as though your injuries were minor, it is still important to be evaluated by a medical professional immediately after the crash. If you wait to get medical care, your injuries may be looked at by the court as less serious than they actually are. Even if you are transported from the scene of the accident due to your injuries, it is necessary that you touch base with law enforcement in the area as soon as you are able. The police will need to record your statements for the police report, and it is critical that these be legally on file. The other driver involved in the accident may offer to pay for your injuries “under the table,” but never consider this offer. Make sure you provide as much information as possible to law enforcement without admitting fault, and consider the benefit of keeping a written record of what happened for your own purposes. 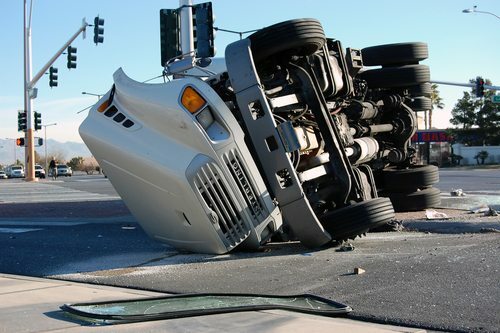 The largest portion of your truck accident settlement will come from the injuries you have sustained. It is imperative that you obtain a copy of each of your medical records for all testing and procedures that were performed. Keep copies of your medical bills and expenses, including expenses for over the counter medications or other injury related needs. Also obtain a letter from your physician(s) that state your current medical condition and what it is expected to be in the future, especially if you are temporarily or permanently disabled. This information will be used to calculate the total of your settlement. As soon as you are able, it is critical that you contact a truck accident lawyer in Ocala, Florida. Your attorney will counsel you on how best to proceed after the accident, and will assist you in gathering the documentation you need for a successful personal injury claim. At the Slonaker Law Firm, we have successfully represented many individuals who have been the victim of a truck accident, and can provide you with the aggressive representation you need to come out ahead after your accident. Contact our office today at (352) 629-6656 or (888) 629-6656 to schedule a consultation.